As some of you know, Saturday was my oldest son's birthday. I've always baked a cake (or pie, when requested) of their choosing for their special day. 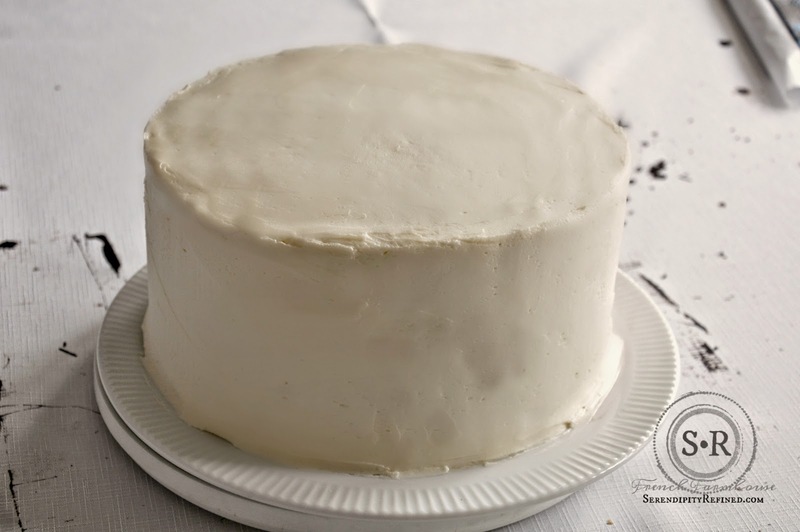 This year, instead of what has become the tradition of home made cheesecake, he requested, "vanilla layer cake with vanilla buttercream icing". Simple, right? 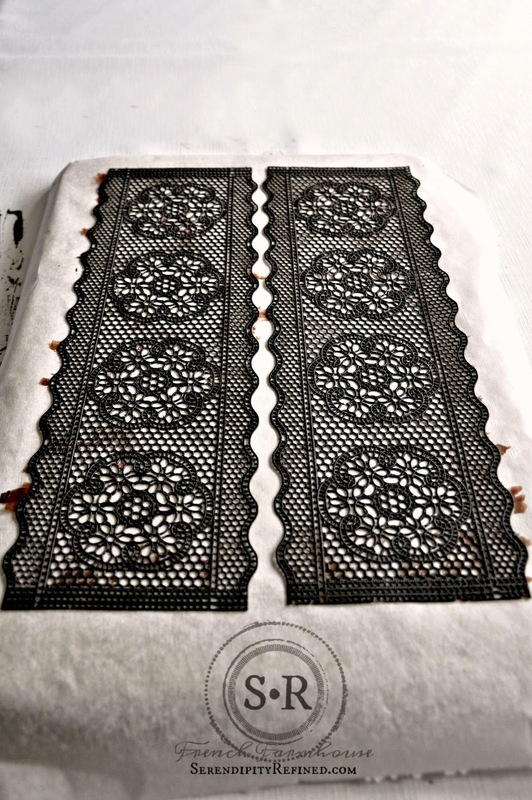 Sure....and boring so I decided to add some dark chocolate lace decorations as a surprise. 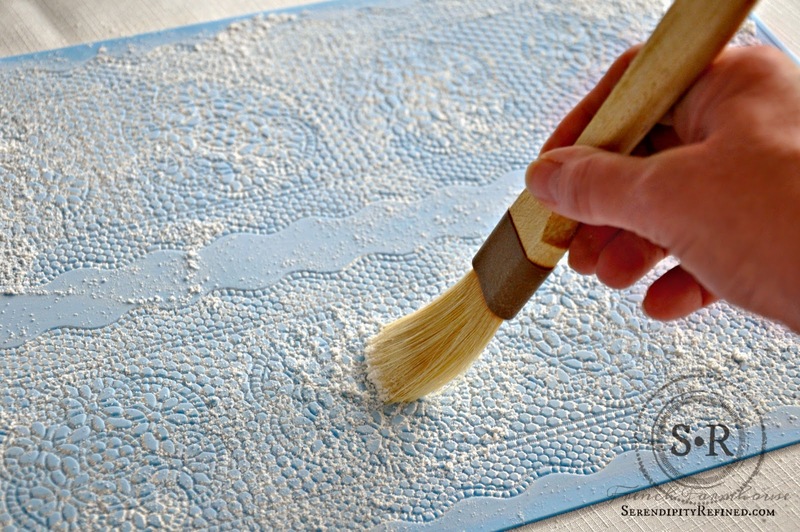 The process is simple: First, brush the silicone mat with corn starch using a circular motion. After applying, shake off the excess powder. Next, in the bowl of a mixer fitted with a paddle attachment, mix the SugarVeil dark chocolate icing powder with water and mix according to directions. I used less than one package to decorate this cake. 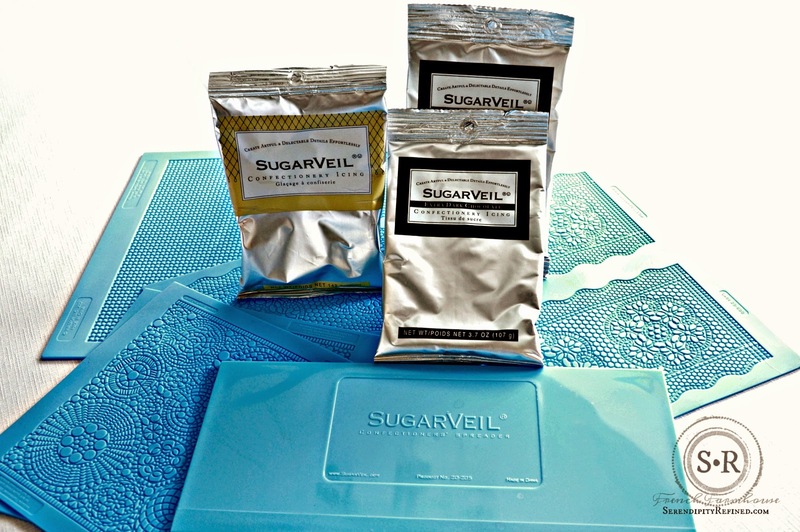 Place the prepared mat on a firm surface, spoon a couple of tablespoons of the SugarVeil chocolate mixture onto the mat. Using both hands with your fingers spread apart, squeegee the chocolate mixture into the spaces in the mat working side to side and top to bottom keeping the squeegee at a slight angle and pressing the chocolate firmly into the mat. The chocolate mixture is sticky but it spreads out easily. Then, wipe the squeegee with a damp cloth and make a final pass to remove the excess chocolate. The photo above was my first time making chocolate decorations. 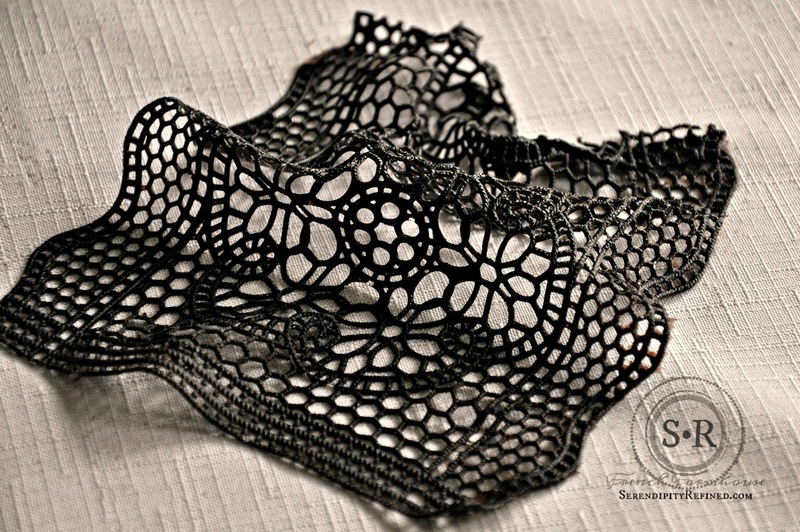 There were a couple of thick spots in the top piece of lace which I remedied most of it before allowing it to dry overnight. There are directions for oven drying (much more quickly) but since I had time, I simply allowed it to dry overnight. After the chocolate has dried, place the mat, face down, on a firm surface (I covered the surface with parchment paper just to be sure that it wouldn't stick). 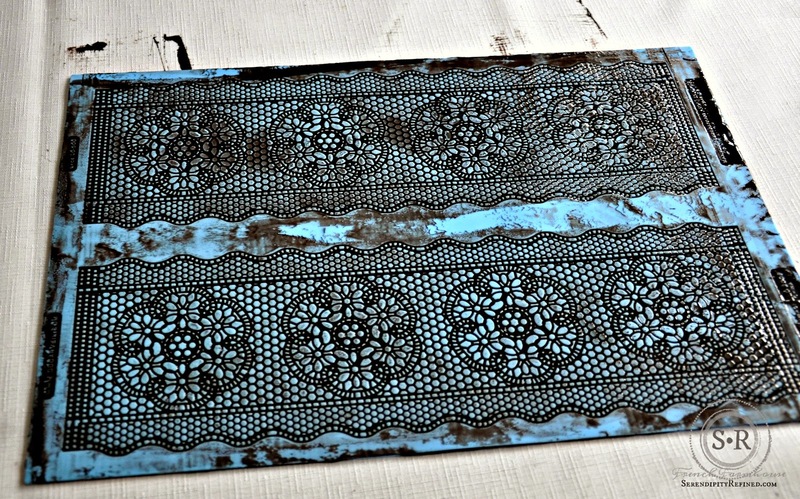 Firmly pinch one corner of the rubber with your fingers to release the lace from the mat. 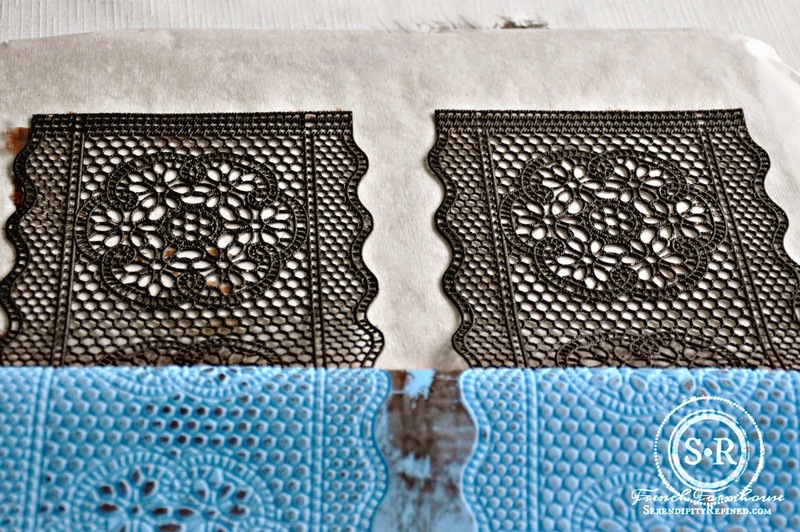 Use the squeegee to hold the lace while gently peeling the mat away from the lace and advance the squeegee as you peel back the mat. To say that I was shocked at how beautifully it turned out on my first try would be an understatement. I used a small pair of scissors and a toothpick to remedy the spots that had excess chocolate. I used two strips and one pattern from a third strip to decorate a 10 inch round cake. 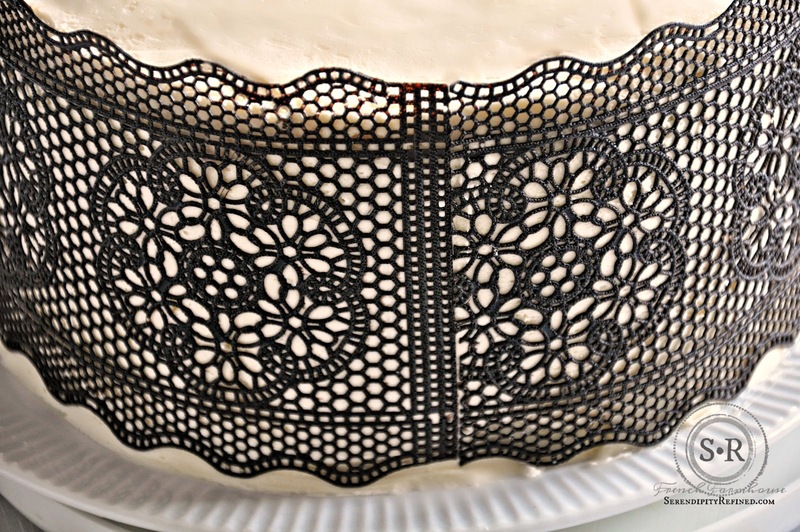 To decorate my son's cake, I simply started with a "plain vanilla layer cake with vanilla butter cream icing" (at least I stuck to that part of the request), I lined up the SugarVeil chocolate lace and pressed it gently into the icing. 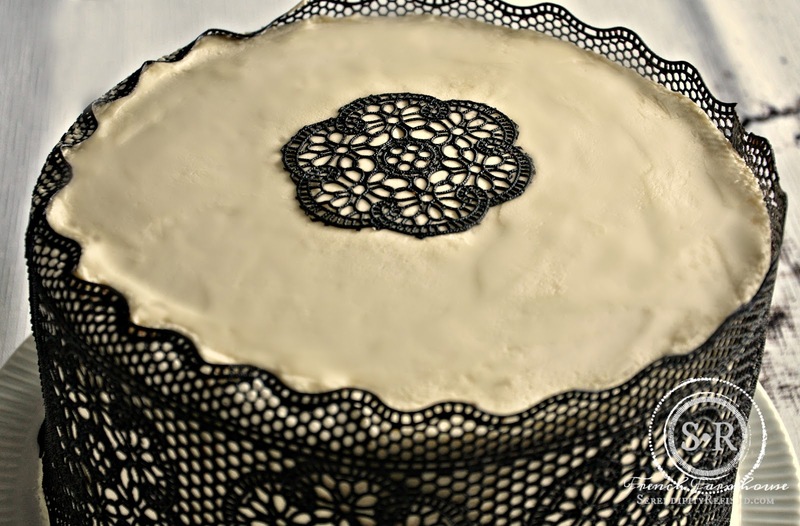 Then, I folded the top edge into scallops on the top of the cake and added a single medallion on the top. That's it...no kidding. I cut the edges where they overlapped using a pair of scissors. The entire decorating process took about ten minutes. This was my very first time using SugarVeil chocolate confectionery icing. As you know, I'm not a professional baker and I don't have a lot of time to spend decorating cakes, cupcakes and cookies. 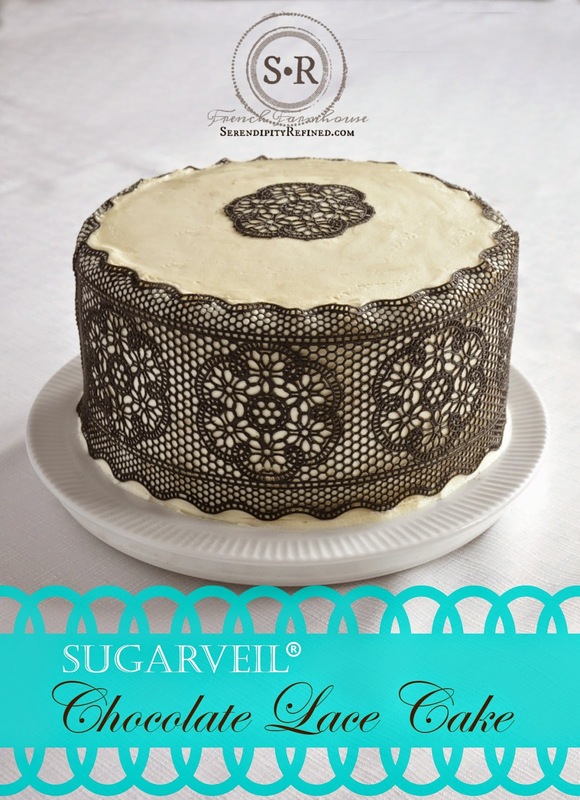 I DO however, love to make and serve beautifully decorated ted desserts to my family and friends and now, thanks to SugarVeil, I can do that...and so can you! 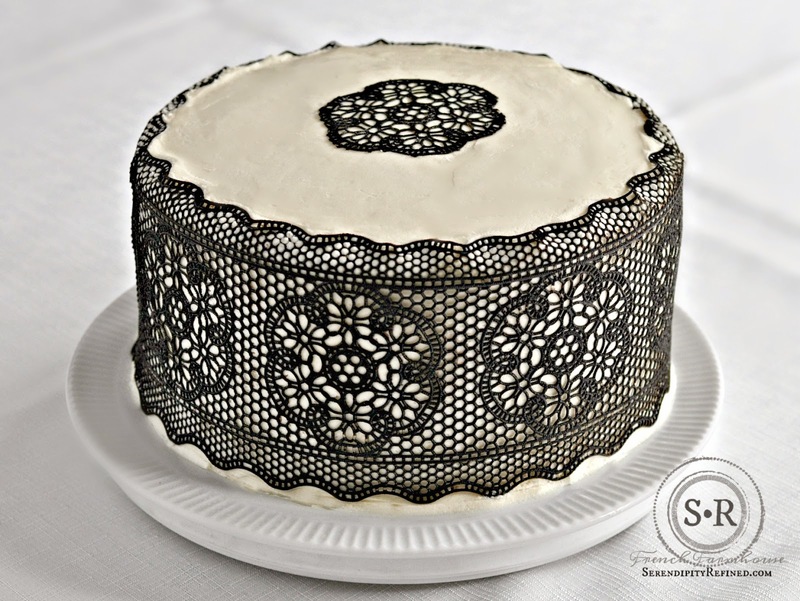 Disclosure: I was provided the SugarVeil products which I used to make the chocolate lace cake decorations for this post. 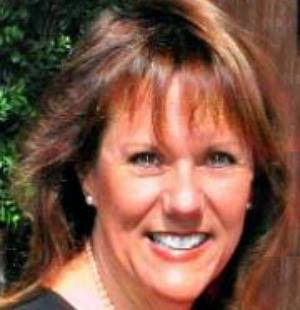 All descriptions of the results that I achieved with the product and my opinions are 100% truthful and based upon my experience with the product. More information can be found on their website and Facebook page.